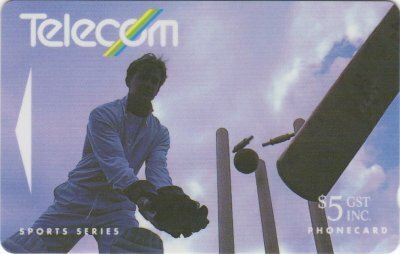 The Summer Sports issue was the new definitive issue and a replacement for the Landscapes Series. 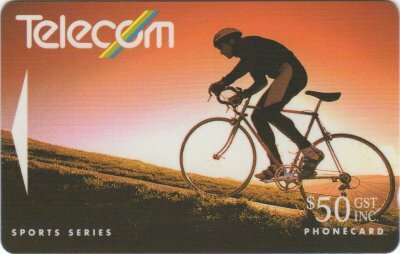 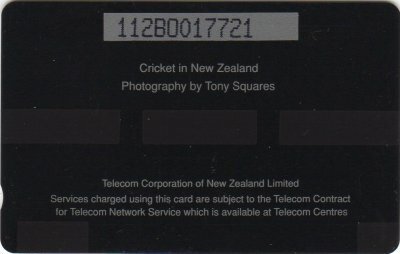 The $5 Cricket card was withdrawn from sale early in the life of the issue due to technical difficulties with the card, thereby making this card relatively scarce in this set. 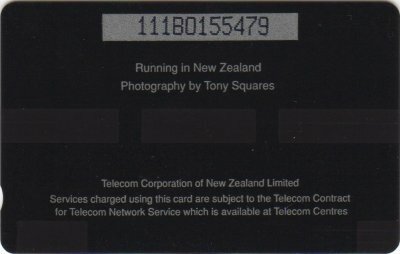 The $5 Running card is known with a constant flaw. 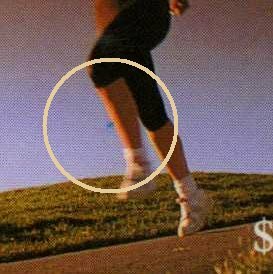 There is a small blue spot in front of the runner's left leg. 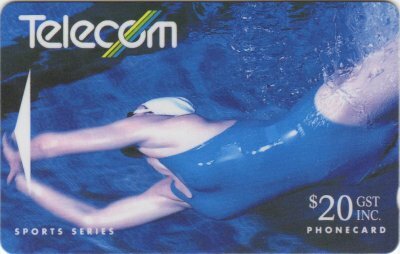 There has been a report of a $5 Cricket Card with a Rugby back from the Winter Sports Series. The $10 is known with European Zeros Ø in the serial number, as seen below. 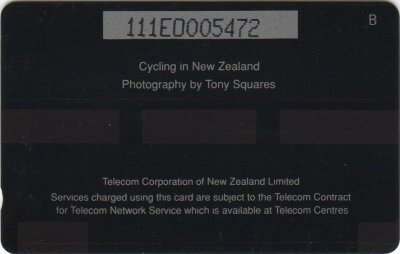 The cards were also issued in Collector Pack NZ-CP-3 and were overprinted on the reverse with 1992 Collector Issue. 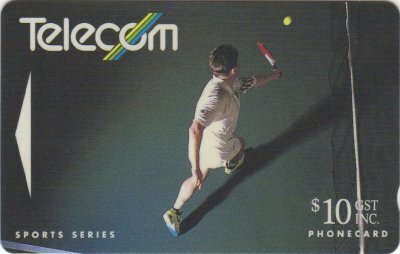 This was the first time this overprint occurred and each card in the pack had matching serial numbers.